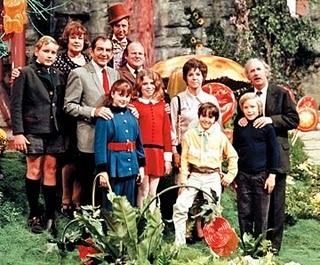 In Willy Wonka and the Chocolate Factory, eccentric candy maker Willy Wonka chooses five children from around the world to partake in a tour of his glorious and magical candy factory. 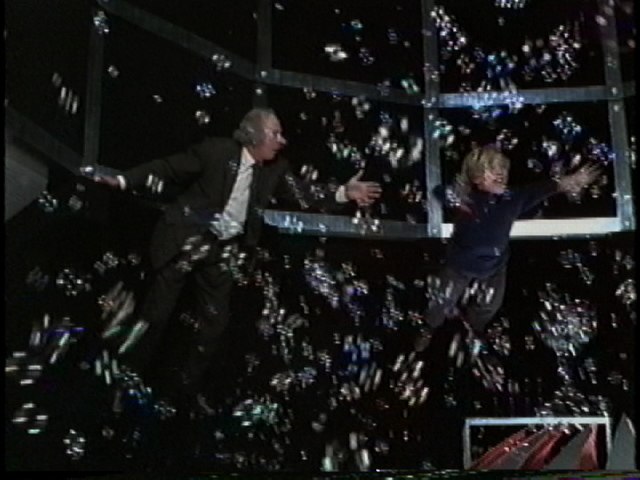 While each child believes that his or her prize will include a lifetime supply of Wonka chocolate, in truth, Wonka is looking for a candidate to replace him as custodian of the phantasmagorical factory. Sounding familiar yet? If not, no worries because we’re just getting started. 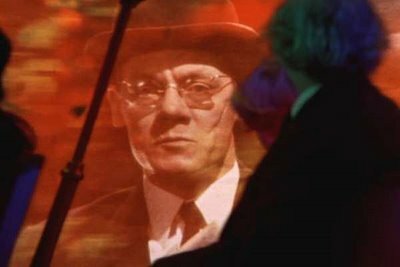 Wonka’s nemesis is a rival candy maker known as Slugworth, who, we are led to believe, tempts each of the children with riches should they bring him Wonka’s newest secret candy, The Everlasting Gobstopper. This shouldn’t be too difficult because all of the children, save one, are spoiled, greedy, brats. The only one who isn’t, is Charlie Bucket who has had a rough life, but is a good kid. 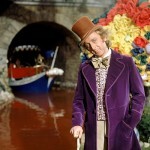 Helping Wonka run his factory is a group of strange helpers known as the Oompa Loomas. 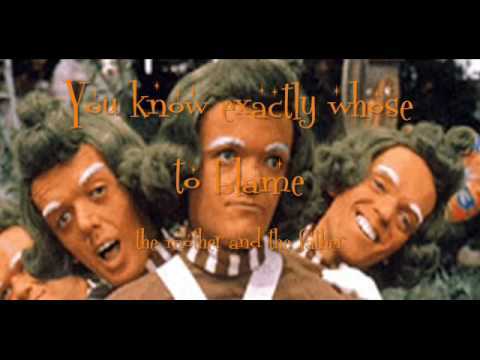 Despite never helping the children get out of life-threatening danger, the Oompa Loompas consider themselves to be the good guys by singing preachy songs about proper behavior. 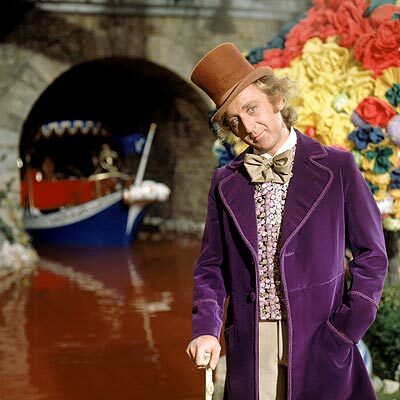 So, plugging in our Lost proxies, we can imagine that the mystical candy factory is the mysterious island, Wonka is Jacob and Slugworth is the Man in Black. The Oompa Loompas are the Others and the children are the Losties. Which children they are depend upon which formula you use to plug in. If we were to go purely by archetype, then Shannon is the spoiled brat Veruca Salt, Hurley is the greedy Augustus Gloop, Ana Lucia is the loudmouth Violet Beauregarde, Sawyer is the sheriff wannabe Mike Teevee and Locke is the loveable loser, Charlie Bucket. For our purposes though, let’s just say rich girl Sun could also be Veruca and tomboy Kate could also be Violet. Poor little Desmond could also be Charlie Bucket, but we won’t give up on Locke just yet. Okay, so I’ve now compared Lost to Willy Wonka, just as easily as I could’ve with say, The Wizard of Oz, Alice in Wonderland, or Star Wars. True, but we’ve already heard about those. And the new information we received in “The Substitute” really gives us a big clue that we can use Willy Wonka as a key to decode. The clue, is that of the concept of a candidate. The idea of using a series of tests to pick a candidate to replace someone in a very important (and magical) position exists in many stories other than Willy Wonka. 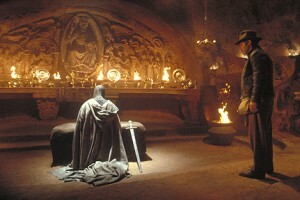 For example, after passing a series of tests in the final scene of Indiana Jones and the Last Crusade, Indy is asked to replace the knight guarding Christ’s Holy Grail. Doing so would allow him to become immortal so that he could, say, later survive an atom bomb explosion by hiding in a refrigerator. 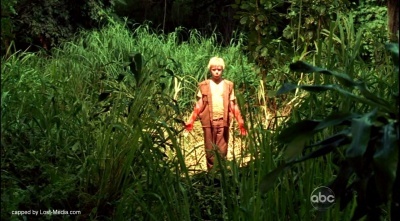 On Lost, we are led to believe that Jacob and his nemesis have been given eternal life so that they too can guard something of vast importance—an island that seems to defy the laws of the universe. Why are two people needed in this version of the myth? Well, Lost has set up that precedent numerous times, as explained by the button-pushing chore performed in the Swan Station. It’s basically to prevent you from going crazy. While it didn’t work for Radzinsky, (who killed himself leaving behind only a blood stain on the wall according to his partner Kelvin) perhaps the reason was because Radzinsky, as we have seen, was not up to the challenge. Radzinsky was impatient and angry and hadn’t grown enough to take on the challenge of sitting in a contained place and pushing a button every 108 minutes. What if the whole button-pushing thing was actually a test to see who could take on the responsibilities of the island? A test he failed. A test Kelvin failed. And a test that Desmond failed, but came closer than anyone else. Sorta like Charlie Bucket, who also failed by stealing Fizzy-Lifting drinks with his Grandpa Joe. But “so shines a good deed in a weary world…” Hold on, I’m getting ahead of myself. In “The Substitue” the Man in Black tells Sawyer that he was once a man. Perhaps then, Jacob was too, and both died on the island to be resurrected as its protectors. Much like Locke not believing the button has to be pushed, the Man in Black has lost his faith that the island needs to be protected. 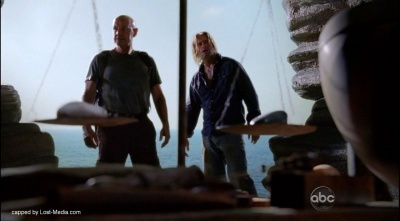 And much like Locke, he is wrong, as we see in the parallel timeline with the island being underwater. A timeline where the Man In Black seemingly wins. As I’ve written in my previous two columns from this season (“What the LA X Refers To” and “Tale of Two Kates”) , I still believe the events of the parallel 2004 timeline are really happening after the events we are seeing on the island in 2007—after Man In Black attacks the temple with Sawyer (and possibly Claire, Christian, and Sayid from the inside). 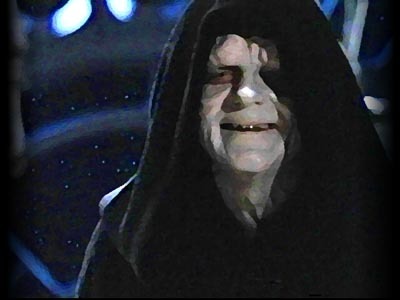 Dogen has already said that the Man in Black will be coming to the temple. Why? Well, why build a temple to begin with? Why was Solomon’s Temple built and later, the Dome of the Rock in its place? Because both sit on hallowed ground where Abraham nearly sacrificed Isaac (the Biblical Jacob’s father) and Muhammad ascended to heaven. So the temple on the island also likely sits on hallowed ground or must contain a sacred treasure (something akin to the Ark of the Covenant?) that would allow the Man In Black passage back into our world. Perhaps it is the rejuvenating pool. Maybe Man In Black must kill Sawyer and resurrect him in the pool. Maybe his plan is to trick Sawyer into taking his place so that he can finally leave (just as Sayid the torturer is being tortured, Sawyer the conman is being conned). 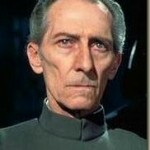 And what might this Man In Black do once he returns home? The end of the episode gives us a clue. The Man in Black says he wants to get the “hell off” the island. Does Sawyer? 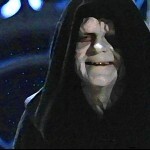 “Hell ya.” Ladies and gentleman, should the Man In Black escape the island he will bring with him Hell on Earth. Perhaps not personally or even purposely. Perhaps in that parallel timeline, the changes in the Losties’ lives lead to a butterfly effect that alters the course of history and brings about the destruction of the world. Whether purposeful or accidental however, it all seems to be put into action by the Man In Black. And who, pray tell can stop him? Only the Christ. And who is the Christ? 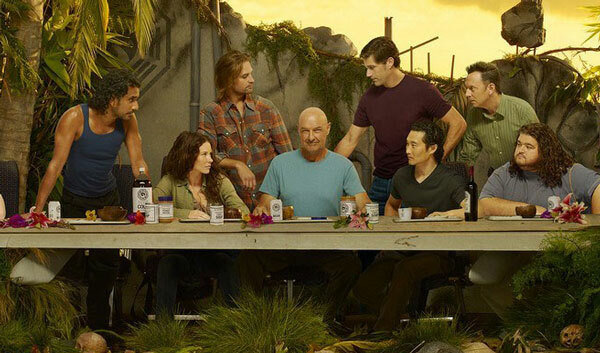 Well, there are many Christ archetypes on Lost: Locke, Desmond, and Jacob just to name a few. And all have good arguments to be the savior. Desmond was told by Eloise Hawking that the island wasn’t through with him yet, and he also sacrificed himself on the island only to be reborn naked (without sin). Locke has suffered in his life and also brought back from the dead (by Jacob and later physically by Man In Black). Jacob has been sacrificed, yet, we see what could be a young apparition or resurrection of him (much like the young Spock who is regenerated in Star Trek III: The Search For Spock) warning his nemesis about the rules. As I mention in The Myth of Lost, in mythology, whenever we see ghosts, they usually speak the truth, and ghosts of children nearly always speak the truth. When Man In Black first sees what could be Jacob, the young boy is barefoot and has his arms spread out in a crucified Christ pose revealing bloody hands. 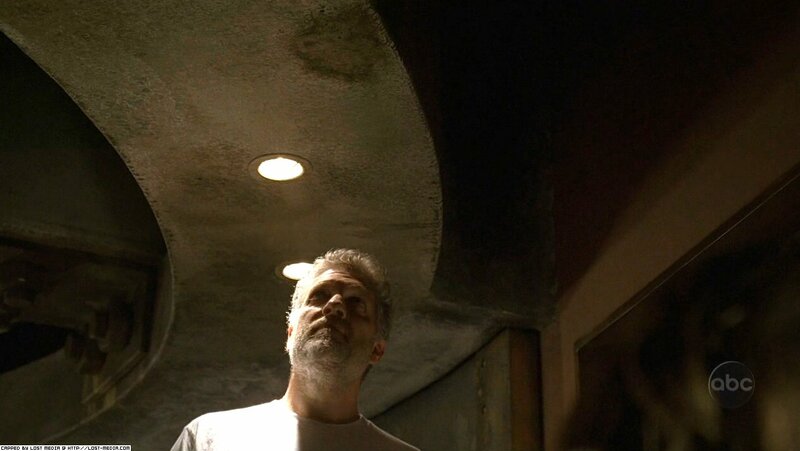 He shows up first as his nemesis tries to recruit Richard and then as he begins to recruit Sawyer, seemingly to remind him that he cannot kill either one of them. Those are the rules. They must make the choice of their own freewill. Of course, this theme is right out of the Bible, which also teaches that we are given the freewill to make choices on our own. Despite Man In Black’s insistence to the contrary (as he explains to Sawyer in the cave), it is becoming increasingly clear that Jacob is the one who represents freedom of choice, though, much like the Man In Black, does offer little nudges here and there to fit his own agenda. So, of Desmond, Locke, and Jacob, who do I think will save the world? Who do I think will most likely take on the role of the Messianic figure and sacrifice himself for the good of humanity? While I think all three characters will have a role, I believe it will be Locke. There are two clues as to why I believe this. The first was in the much talked about Lost Supper promo pictures taken of the cast. In all three pictures, Locke is sitting in the middle of the table in Jesus’ seat. When I first saw the picture, I thought that since Locke was dead, the image was actually of the Man In Black in Locke’s body. Having been given a taste of this season though, I now feel that it is actually Locke in that position. Yes, Locke who has been buried on the island and beaten down in his parallel life. Either way, I think he will rise to save the day. Why? Once again, we turn to our friend, mythology. If there is one thing Lost teaches us, it is that we should not underestimate the power of a proxy. A proxy is basically a metaphor, or yes, a substitute, for a particular character—one that can be replaced for another because it has similar qualities (See “‘He’s Our You’—How Proxies Play a Role In Our Lives” for more). 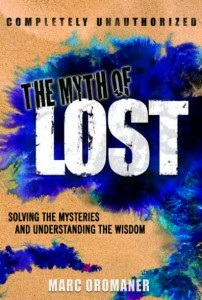 Through the character names it has given us, the allusions to books and movies, and its own storyline, Lost has taught us that stories tend to repeat themselves, and themes set up by one story are likely to show up again in another. While Lost does break the rules and surprise us every once in awhile, I highly doubt that they will go against one theme that they’ve spent their entire six seasons reinforcing: Suffering characters who rise against their challenges are, in the end, redeemed. On Lost, the redemption oddly seems to be death, but that’s an argument for a different column. The point is, they overcome their issues and can be at peace. 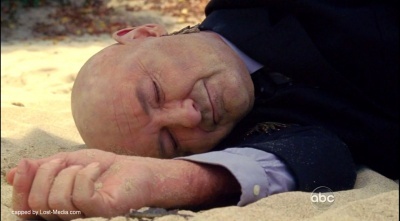 CUT TO: DEAD LOCKE ON THE BEACH. The juxtaposition is humorous, but the message wasn’t really for Locke at all, it was for us. The writers know what they are doing, and things aren’t as they appear—both in the show, and in our lives during these trying times. Suffering will help make Locke, and us, stronger. In any dimension, Locke’s life is hard mostly because he makes it hard. He became a paraplegic because he continued to harass his father who he knew was a deranged criminal. He stayed in a crappy job that had a crappy boss that no one was forcing him to stay at. Even in his parallel life, couldn’t he have asked his fiancée to pick him up from the airport? If not, he at least could’ve asked someone for help when the wheelchair platform got stuck. But no, he was too proud. He was also too proud to park in a handicap spot. And too headstrong to admit he couldn’t do a walkabout or work on a construction site. Quite simply, Locke’s ego gets him in trouble and is responsible for much of his misfortune. Locke’s handicap is the universe’s way of teaching him not to be too proud—to reduce his ego. Pride is Locke’s real handicap. 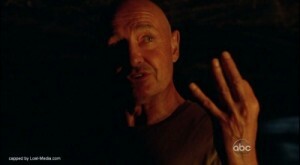 As mentioned in The Myth of Lost, Locke needs to learn to accept his paraplegic state. Insisting to Helen that he won’t call Jack and her ripping up his card is a first step, but it wasn’t for the right reasons. At that time, Locke doesn’t want to attempt to get help because he doesn’t have faith, not because he’s cool with his situation. Like island Locke before he lost his faith, Locke needs to believe in miracles as Helen tries to convince him of. Helen is good for Locke. Just like Helen of Troy, she may be the inspiration he needs to go to war with his ego, which he’ll need to do if he’s going to live up to his potential. As with all the characters on Lost, life is hard. If it weren’t, it wouldn’t be a challenge and we’d find ourselves pretty bored. In The Matrix, Agent Smith echoes this truism when he tells Morpheus that humans rejected the first matrix program where everything was perfect. We are here to be challenged and to grow. On Lost, Man In Black tells Sawyer that candidates have three choices. First, they can do nothing. This would make them the metaphorical zombies of our world, just going through their daily lives without growing until they die. The second choice is to accept the job, using the rules of society to rise to the top. Unfortunately, this choice often leaves one blind to the hidden truths of our world, and one is often left following rules, religions, or subconscious patterns without daring to go beyond and ask the deeper question—what lies beyond? The third choice is to leave the rat race behind and seek your own truth. While this option is often the toughest and the most ideal for one’s destiny, it is often taken on prematurely, before one has grown using the challenges of society. The trick then, is to start out playing by the rules and growing as they challenge you so that you can later break them and seek your own truth and meaning. On Lost, Jack begins as a man of science, playing by the rules, but has slowly taken on the qualities of a man of faith. Locke became a man of faith on the island, but is now retracing his steps in a parallel life to relearn the rules he always dismissed so that his faith can become even stronger later in the game. It is very difficult to find someone who excels in both the material rules and the spiritual seeking, and perhaps that is why the island’s candidacy requires two people. Two people who can keep each other balanced on the metaphorical scale—or, the real scale seen in Jacob’s cave…or, was that really the Man In Black’s cave? 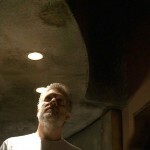 It is more fitting of the dark energy to be underground. Usually light energy is high up, in say, a lighthouse. But I’ll leave that until next week’s episode to discuss. For now, let’s just take the Man In Black’s words with a grain of salt. In order to become the highest version of one’s self then, it would seem that there is a sequence to reaching enlightenment. First, one needs to follow the rules of the game. Then, one needs to be challenged while playing the game. This makes the player stronger and able to overcome increasingly more difficult challenges. Continually being beaten down by life must cause one to lose his ego, but if one is not completely beaten by life, he or she will grow their faith. This makes the player bigger than the sum of his parts. Only then can he break the rules of the game for a purpose greater than the self. This is redemption. This is destiny. This, is Locke’s destiny. And I’m not telling anyone what the Locke character can or can’t do, I’m just saying that this is how it goes according to the myth that Lost, up until now, seems to be following. Like most “bad” guys, i.e. 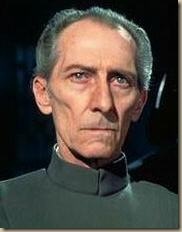 Grand Moff Tarkin in Star Wars, Emperor Palpatine in Return of the Jedi, etc., the Man In Black underestimates the power of faith—in this case, Locke’s. Man In Black and many Lost fans believe Locke’s story is over. He’s dead and buried and was scared and confused when he died. Even in his other dimension, Locke the substitute teacher doesn’t offer much of a threat to the Man in Black’s dastardly plans. Yet, did little Frodo offer much of a threat? What about the “pitiful rebellion” in Jedi? Did anyone ever think that poor little Charlie Bucket stood a chance at winning a golden ticket, let alone inheriting the entire Wonka empire? In the end, Charlie’s challenges that had beaten him down and crushed his ego enabled him to shine much like a little candle in a dark room. 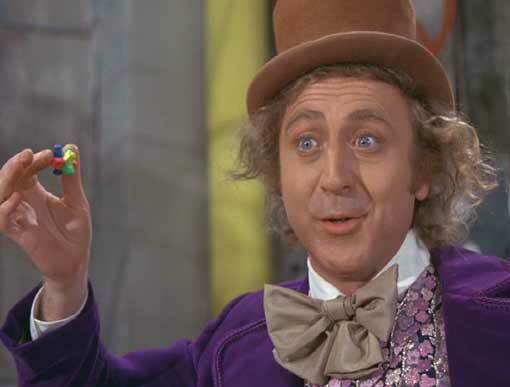 Charlie’s inner peace gave him the strength to resist the temptation of riches from the Everlasting Gobstopper, and so he returned it to Wonka. 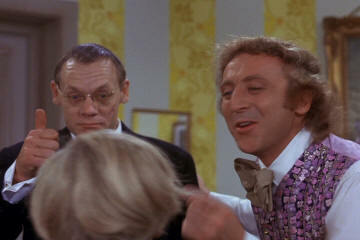 Wonka, in turn, soon reveals that it had all been a ruse. 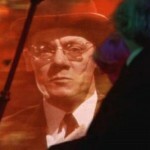 That Mr. Slugworth really worked for him and that it was all a test. A test concocted to find the perfect candidate to take over for him and look after the chocolate factory and the Oompa Loompas. The curtain had been pulled back at last. Much like Charlie Bucket, Locke must make up for failing his test. All it takes is one act that can redeem him and thereby, redeem everyone. Perhaps Jack faces a similar challenge, and he and Locke will take the place of the Man In Black and Jacob. Or, maybe Locke will arrive on the island with Helen back in 1977 and die there, becoming Adam and Eve to be reborn and start a new world. Even if any of these scenarios are even close, there are still so many questions. If Locke is still close to his dad in the parallel world, are we to believe that he became handicapped from some other reason? When Locke was wheeling down the halls in the high school, was that young kid he spoke with supposed to be Walt from 2004 who obviously had to be recast? Why wasn’t Kate one of the numbers? Is it a men’s only club? If so, does that mean that the 42 is Jin and not Sun? Were the numbers the Losties all along, or was Jacob just keeping track of them by their seat numbers on Oceanic 815? Either way, why do they show up everywhere? Do they signify markers where each Lostie has to go, i.e., the Swan Station? Are the whispers the dead souls on the island, and the reason bodies had to be buried was because the souls would possess them? If so, has the ghost of Rousseau possessed Claire? Is the reason why Claire seemed to recognize Jin because she is actually Rousseau? If the show is ultimately about finding a candidate, what really was the purpose of DHARMA on the show? Is there still something else going on or a major twist planned? There are still many, many questions left on Lost, and while some will be answered, much as with life, I expect most will not be. But more importantly, I think the show has played a greater part in helping us solve our own mysteries and co-create our own lives. We may never get to fully understand exactly why the numbers appeared everywhere, why everyone was connected, or what a snozzberry is, but who cares? We are the music makers. And we are the dreamers of dreams. Interesting piece, and possibly prophetic. 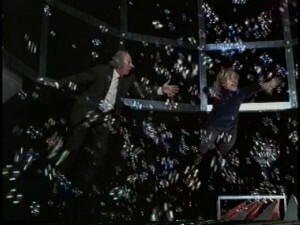 I’m sure you picked up on the soundbyte from Willy Wonka’s “Wondrous Boat Ride” tonight in the preview to next week’s episode? I’m still unclear on what exactly Smokey would have done if he got off the island. I don’t know why the island needs protecting. Some vague explanation of the light within all humanity going out. What would Smokey have done? Bad things. Someone with that much power could’ve done whatever he wanted. The island needed protecting b/c it held the source of energy for the planet–including our souls and all life here. After the incident, new babies were no were no longer born. Imagine what would happen if the light went out all together? No new babies born in the world! The end of the human race and possibly all life on the planet!